No. 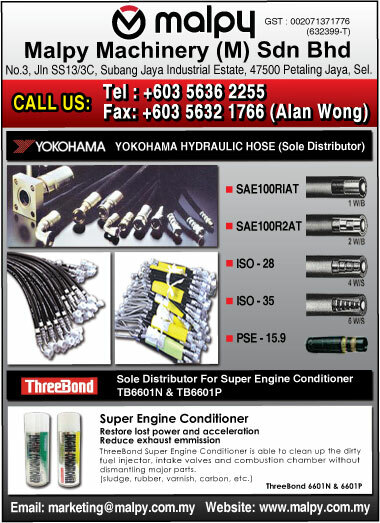 3, Jalan SS 13/3C, Subang Jaya Industrial Estate, 47500 Petaling Jaya, Selangor, Malaysia. With many years of experience committed to meeting the needs of our customers. Malpy Machinery (M) Sdn Bhd strives to provide the latest range of products to improve the efficiency in many Automotive and enchancement of human life. Human resource is the most important asset of the company. We provide opportunities to our staff to upgrade their knowledge and skills. We take pride in our professionalism and spare no efforts to ensure their the highest level of customer satisfication.